In one version of our lives, childhood is a series of deprivations and desires whereby we want things we can’t have, some of which we grow out of or just forget. In my case, I was seized with heartache when I entered the newly opened 8,000-square-foot Leica store on Beverly Boulevard at Robertson in West Hollywood. Until then, I had forgotten how much I wanted to own a Leica…. …My own passion for photography and for cameras was kindled by a summer job, at 13, in a midtown Manhattan camera store run by Hungarian Jewish émigrés. Back then, there was a hierarchy to everything, including desire. The serious young photographer graduated from taking snapshots to a single-lens reflex camera, such as a Mamiya Sekor (popular among my friends), or, if you were more affluent, a Pentax. From there you graduated to an Olympus, and then a Nikon. Professionals used professional versions of the Nikon — which were all black. For the truly discerning, however, the object of desire was the Leica. The Leica felt solid and was fully manual (a plus to the camera geek), allowing for maximum choice, and therefore, maximum artistic control in each photo. It sat in your hand with a satisfying heft, a solidness that spoke to its seriousness of purpose. To me, it was the embodiment of the schwarzgerat (literally “the black device”), a finely tooled exemplar of German engineering so satisfying in its design and manufacture, so intelligently made, that its use gave pleasure and conferred status and excellence on the user. The reverence in which the schwarzgerat is held has been central to several contemporary classics such as the black monolith in Stanley Kubrick’s 2001 or the secret component in the searched-for rocket in Thomas Pynchon’s “Gravity’s Rainbow.” I aspired to the Leica, although I knew it was way out of my league. Everything about it said “German,” which might have added to its forbidden-fruit status, as my parents, Holocaust memories ever fresh, didn’t buy German. 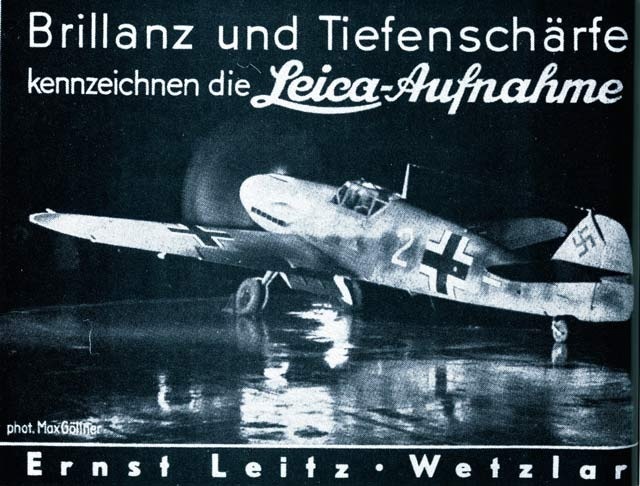 However, just as the overwhelming quality of the product convinced some Jews to drive Mercedes and BMWs, particularly after Israel accepted the wiedergutmachung — reparations from Germany — Leica was adopted by many Jewish photographers, among them Robert Capa and Cornell Capa. Jewish guilt was further assuaged by an e-mail that has been making the rounds for the last several years (I’ve received it as least three times from three different sources), variously referred to as “Leica and the Jews” or “The Leica Freedom Train.” The e-mail tells of how, as the Nazis came to power, Ernst Leitz II, son of the founder, arranged for his Jewish employees to leave Germany. He strung Leicas over their necks and dubbed them Leica sales agents, allowing them to obtain travel visas when those were increasingly hard to get. The cameras themselves served as proof and were a valuable commodity upon arrival in a foreign land. In many cases, Leitz personally arranged introductions to photo businesses in the United States and other countries for his employees. This continued until 1939, when Germany closed its borders to all Jews. Even after that, Leitz’s daughter was involved in helping to smuggle Jews into Switzerland. As Protestants, Leitz said, it was just the right thing to do and he never sought any acclaim for his actions. ….One might think this would be the worst possible time to be selling expensive cameras. In the last few years, images made using smartphones and iPhones posted on Instagram, Snapchat and Facebook have made everyone a photographer or a photodiarist of their meals, pets, friends and selves. Hasn’t digital and the Internet disrupted and leveled photography? What became clear from talking with Agnew — who prior to opening this new Leica store, worked for such luxury retailers as Giorgio Armani, Chanel and Van Cleef & Arpels — is that Leica is positioning itself as a luxury company. We live in a society where driving a Bentley rather than a Prius (or, rather, driving a Bentley in addition to a Prius) is a choice that the marketplace supports. So, for every 1,000 or 10,000 iPhone photo enthusiasts, there will be some who crave, or succumb to, the quality and the allure of a Leica. And if they can’t afford one, then, like me, they can spend time at the beautiful new Leica megastore, lusting for excellence. Tom Teicholz is a film producer in Los Angeles. His blog can be found at jewishjournal.com/tommywood. 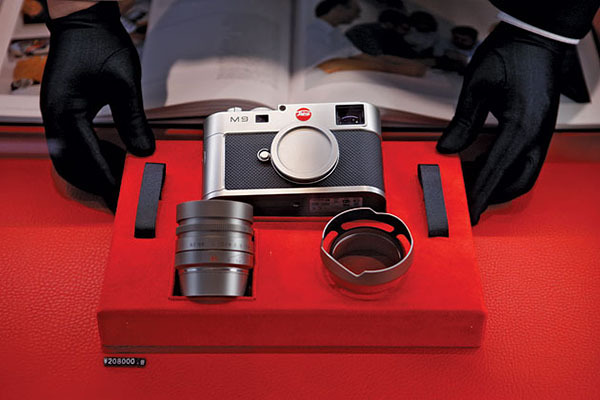 This entry was posted in Famous Leica Users, Leica, Leica Advertisements, Leica Camera, Leica Film camera, Leica Photographers, Leica Rangefinder, Leica Store and tagged Leica Camera, Leica Store on May 7, 2014 by Leicaphila.